Comm Eye Health Vol. 31 No. 102 2018 pp 46. Published online 20 August 2018. Director: Blantyre Institute for Community Outreach (BICO), & Professor, Lions Sight First Eye Hospital, PO Box E180, Blantyre, Malawi. Malawi has a population of 17 million people, 87% of whom live in rural areas. There just twelve ophthalmologists in the whole country, equating to 1.4 ophthalmologists per million people – far short of the 4 per million recommended by the World Health Organization.1 To make matters worse, eleven of the ophthalmologists are based in urban areas. Eye teams have aimed to address this by running outreach services that include cataract surgery. However, sustaining outreach services is expensive and requires a lot of travelling, which can disrupt the entire health system. Patients often have to wait for months before gaining access to eye care services. In our experience, staff fatigue eventually results in fewer visits being conducted. To bridge the gap in eye services, Malawi’s ministry of health has now established a task shifting approach. This means that some of the services usually offered by ophthalmologists are shifted to, and offered by, mid-level or allied eye health personnel who are recruited from rural hospitals and given additional training. Ophthalmic clinical officers (OCOs) are clinical officers who have undergone training in ophthalmology and received a diploma. OCOs can manage most eye conditions and perform basic extraocular surgery. There is currently at least one OCO in each rural hospital. OCOs can train further and become cataract surgeons or trichiasis surgeons. Cataract surgeons are OCOs who have attended an additional one-year surgical training course at a teaching hospital. They are able to perform cataract surgery within their rural hospital. Trainees remain on full salary, and a non-governmental organisation (NGO) pays for their training and upkeep. Trichiasis surgeons. OCO’s working in trachoma-endemic regions are trained and equipped to undertake trichiasis surgery at community level. They are usually trained ‘on the job’ over a period of two weeks. Optometry technicians are trained and posted to rural hospitals, where they provide refractive services. Ophthalmic nurses are general nurses who have received further training in eye care and are able to manage patients in the wards and assist in theatre. Equipment and consumables are often provided by the eye NGO partner working in an area, and supervision is conducted by the Regional Ophthalmologist in each area. For OCOs and cataract surgeons in particular, greater opportunities for promotion, and allowances for outreach work, encourage them to remain in the rural areas. What has been the impact of the task shifting programme? There has been a reduction in the level of inequity in access to eye health services between rural and urban areas. In conclusion, task shifting has addressed some of the human resource gaps in eye health in Malawi, and has helped improve service delivery, especially the delivery of trichiasis surgery. 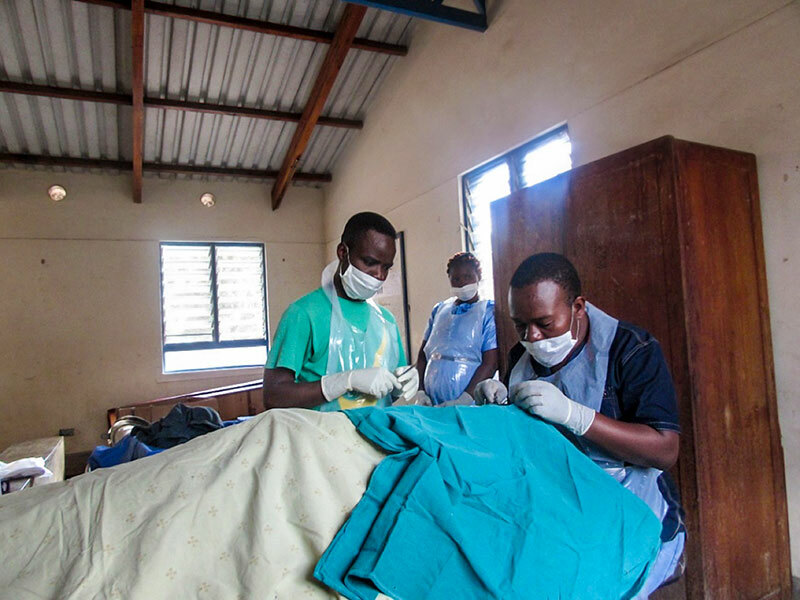 Gichangi M, Kalua K, Barassa E, Eliah E, Lewallen S, Courtright P. Task Shifting for Eye Care in Eastern Africa: General Nurses as Trichiasis Surgeons in Kenya, Malawi, and Tanzania. Ophthalmic Epidemiol. 2015;22(3):226-30. doi:10.3109/09286586.2015.1040924.